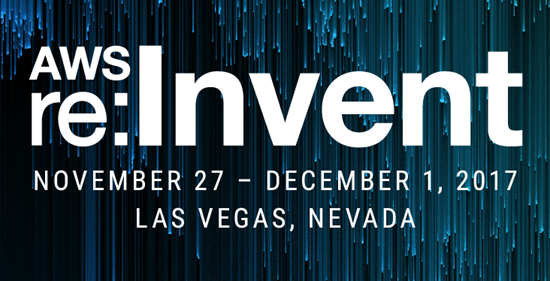 Next week one of the main events of the IT and especially Cloud Services landscape takes place in Las Vegas, Nevada. I guess if you are planning to go, you already have everything set up, as it is only under a week before it starts. And factoring in the fact that the event is sold out, so you would be out of luck, it you didn’t have a ticket secured. I am going to be there the whole week, and then some. Starting 5AM on Saturday morning and wheels up little after 6AM, it is going to be long day to travel, but I always feel it pays off to arrive one day early and get the time difference sorted out. 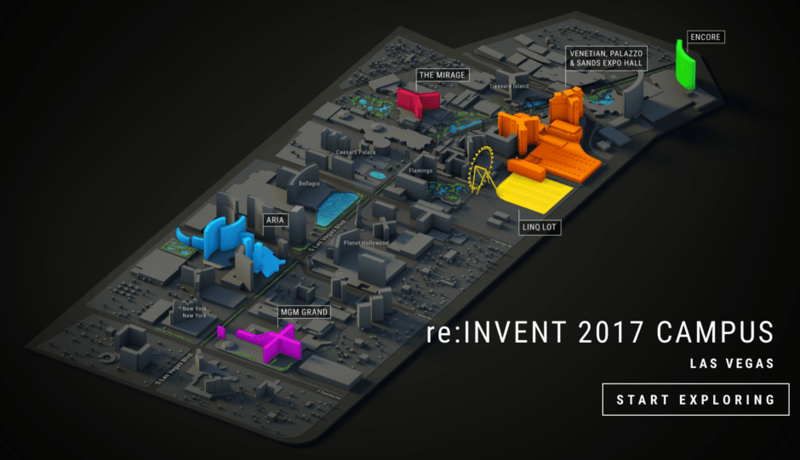 We have pretty solid group from my employer Cybercom traveling to Re:Invent, both from Finland and Sweden. You can meet us there, so if you want to talk, drop us a line. It’s going to be a huge event this year, with 40 000 attendees and over 1000 sessions in the schedule. The event also spans several venues this year, so it remains to be seen what kind of logistical challenges that is going to bring. My expectations about the arrangements and venues vary. On the other hand, I am excited about the event and how much it potentially has to offer. On the other hand I am a bit worried about how the logistics is going to work out. I mean, last year it was already packed and it was like over 10 000 people less. 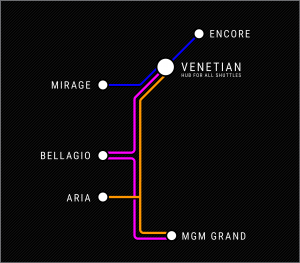 The venues are also spread out across Vegas, so be prepare to spend time in changing from one venue to another. Walking these distances is hardly an option, but there is going to be some sort of a shuttle service running between the venues. There is also an interactive campus map provided by AWS, which you can use to find out what’s where. I also covered the topic briefly in my presentation in AWS User Group Finland November Meetup. My oneliner pro-tip is, that focus on big ticket items that interest you the most. Don’t over do the scheduling, as it will be almost impossible to maintain. And also because there are new sessions coming out after the major announcements, so keep that in mind. So now to the actual topic. I have consulted my crystal ball and wanted to think aloud a little bit and speculate a little bit about the upcoming. I am thinking that the most significant announcements are divided 50-50 between Andy Jassy keynote and Werner Vogels keynote. I guess we will see kind of a lot the normal expansion things, which are happening also year around. I am expecting to see bumps in some service limits, like the ones related to lambdas. Possibly increase in max memory size, run time limits and so on. Also newly supported languages for lambdas are a big probability. Also regional expansions on certain services is to be expected. 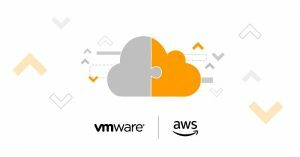 One thing specifically based on some chatter in the news would be to predict that probably we are going to see VMware on AWS to expand, probably to some region in Europe. Also it would be expected to announce general availability for some services which have been in Beta. Probably there are going to be some bumps in instance families to newer generations, as newer generation Intel processors are rolling out. Faster clock speeds, more memory. Also probably newer generation elastic GPU could be something to look forward to. One prediction that has been circling around is the Kubernetes support for the Elastic Container Service. The manageability aspect of ECS has received criticism, so this would be warmly welcomed addition to the feature set of ECS. And maybe we will finally see integrated terminal access from the dashboard. It is long overdue, even with the serverless trend. I am betting we are seeing more serverless options announced. Not completely sure yet, what they would be, but for example RDS could be driven towards more non-instance driven direction, at least from service consumer perspective. Private API gateway would be something, that many would eagerly await. And more VPC endpoints for serverless components to integrate the server stuff with serverless stuff inside your own network. This one is very specific prediction and as Azure has template-based offering for this, I would expect something to be offered here. As fintech is one of the hottest topics at the moment, this is a key technology to enable so called smart contracts. So it would not be that unrealistic to expect a Blockchain as a Service announcement from AWS. Native encryption support is something that I see coming to more and more services. There are some really obvious ones, where that native support is still missing. I am looking at you, Elasticsearch. Also native cross-region replication to encrypted services is something I expect, as it was announced for S3 a while back. Last year, the AWS Shield was one of the most significant announcements. I certainly expect more features to Shield, WAF and CloudFront combination. Probably more security oriented features also to VPC level. Next spring, the GDPR is something that no-one operating in the EU can avoid. To have more tools to provide compliance and auditability would be beneficial to many. In this regard, it is highly expected to hear some announcements, even if they would not be technical in nature. I am sensing that Big Red O is going to get some things coming for them. Andy just loves bashing them and Werner is not far behind. I am expecting to see some set of features, which has been offered by partners. Especially to analytics and monitoring parts. It would not be the first time, when the big player first sees startups groom the viability of an idea and then bring it to the main platform. Usually also with minimal cost. I just have a hunch, that CloudWatch, or some completely new offering, will have something new coming, probably stolen – erm, borrowed – either from Datadog or New Relic playbooks. Let’s see if my hunch is right or not. Saying that AI / ML is the next big thing, would be an understatement. For the most part, that it is already here. I guess lot of people were taken by surprise by the Gluon announcement. Let’s see if there are some new things coming around that subject. I am predicting that we are seeing most of the significant announcements in this context. Specifically I am looking forward for things like Macie where AI / ML is applied to security context and creating intelligent anomaly detection and such. I am ready to admit, there might be things that nobody saw coming. And those are the ones I actually expect the most. So let the announcements commence! I’ll be sure to cover the announcements latest in our upcoming meetup in December. There are tons of other things to do while in Vegas. Concerts, magic, gun ranches – you name it. I have couple of things planned and booked around the conference, but I’m still waiting for some aces to drop from the sleeves. One thing I’m especially happy about this year’s trip is that I’ll now have the chance to go and check out NHL game. You know, hockey is relatively big thing in Finland… So I’m hoping that it is going to be an experience.